Superstar Rajinikanth has flewed down to Los Angeles along with his daughter Aishwarya Dhanush for the look test of Enthiran 2. 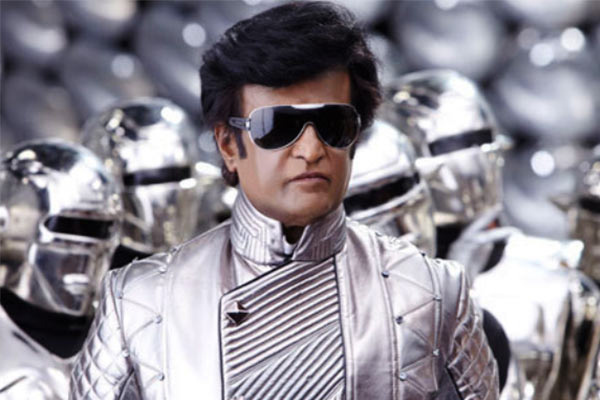 Enthiran 2 is touted to be an sci-fi action entertainer which will be made with huge budget. The formal launch of this film to be on Rajinikanth's Birthday on December 12th, but close sources reveals that pooja ceremony will be held on December 20th. Rajinikanth will be seen romancing Amy Jackson in this film. Enthiran 2 to be produced by Ayngaran International and Lyca Productions banners. Shankar is the director and musical scores are by AR Rehman. Write & Share about "Rajinikanth's Enthiran pooja ceremony on Dec 12th | 2.0 (2 Point O) Tamil Movie News | Cinema Profile" !